Home » Backyard Brains Internship! Apply for the BYB Neuroscience Summer Internship! Do you have an interest in neuroscience? Electrical, Mechanical or Computer engineering? 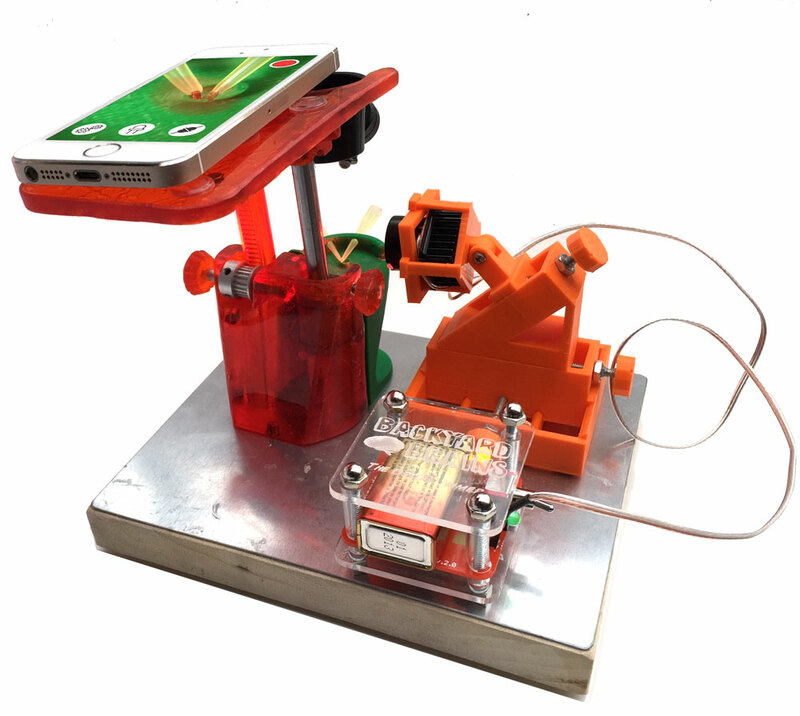 Want to develop your own experiments and publish your results? Learn to communicate with the public? Maybe even all of the above? Then you're in luck! The Backyard Brains Summer Internship program is an intensive 10-week program for undergraduates to participate in hands-on neuroscience research and experiment design with award winning neuroscientists. This is the 3rd year of running our prestigious (and paid!) summer program and this year it will run from May 23, 2016 to Aug 5, 2016. All applications must be received by 12:00pm ET on March 12 to be eligible. We will be notifying applicants of their status by March 21, 2016. All participants will be working on independent research projects, much like in a graduate school laboratory. We will have journal clubs to go over key papers, and you will be trained how to develop your own experiments and to build your own devices to perform those experiments. You will be collecting data, analyzing and presenting your results. The end result of your summer internship will be a publishable experiment and video for our website, as well as a poster to be delivered at Undergraduate Research Poster Session of the Society for Neuroscience. 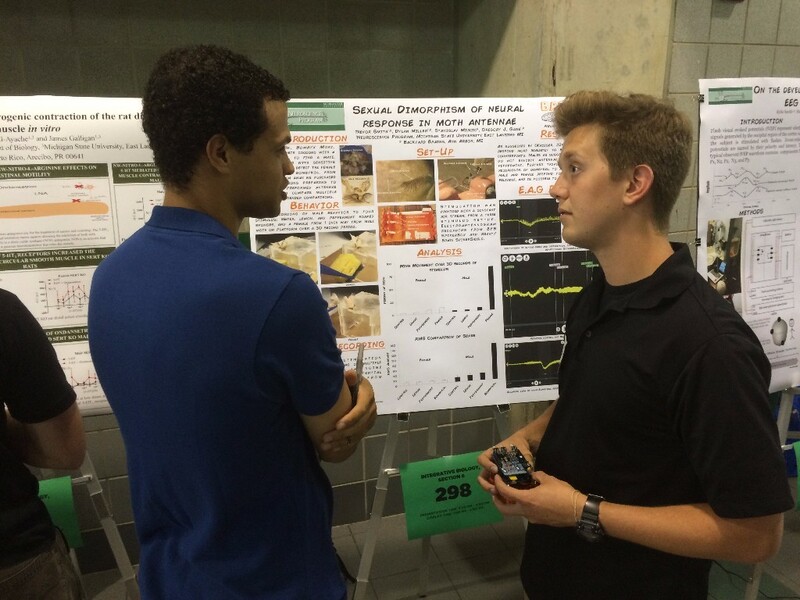 In 2015, two of our students won awards for their poster presentations! We have also worked with students to continue refining their experiment writeups into manuscripts to publish first-authored papers in peer-reviewed journals. As interns, you will receive media coverage by the popular press. See below for previous examples. "Backyard Brains, a small Michigan-based company dedicated to spreading the word about neuroscience, has been running surgical experiments on these deadly arachnids for the past two months, using electrical current to induce them to strike. 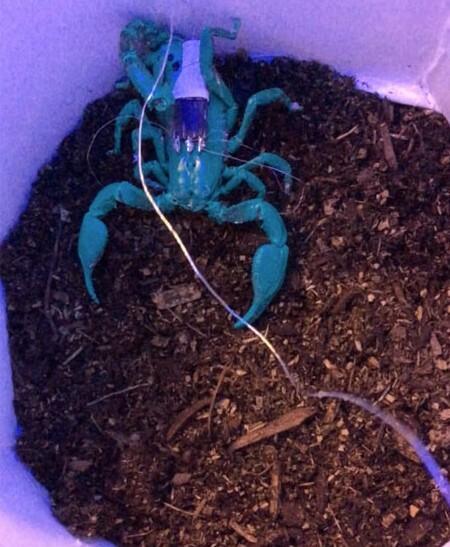 Dylan Miller, a summer intern working the project, insists it's the first time that an electrical current has ever been used to remotely induce a scorpion to strike with its pedipalps (claws) and tail". 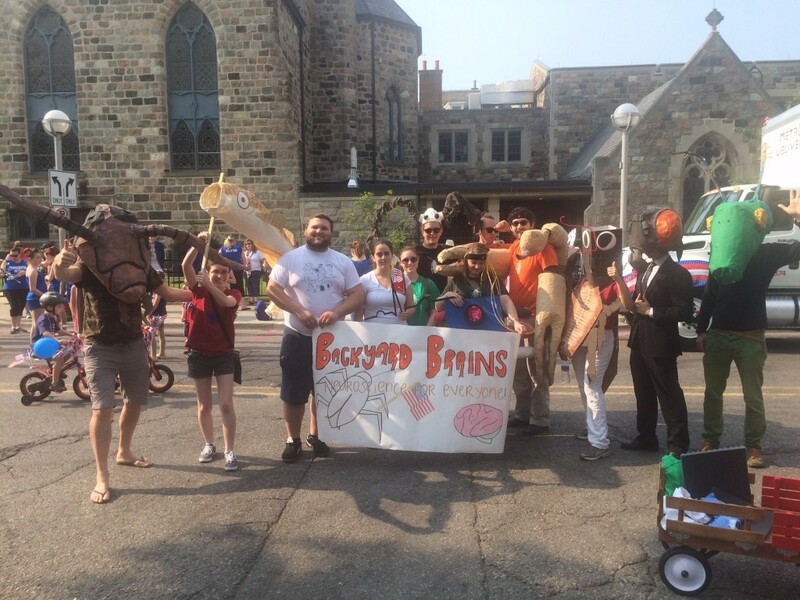 As interns, you will be a part of the Backyard Brains team! 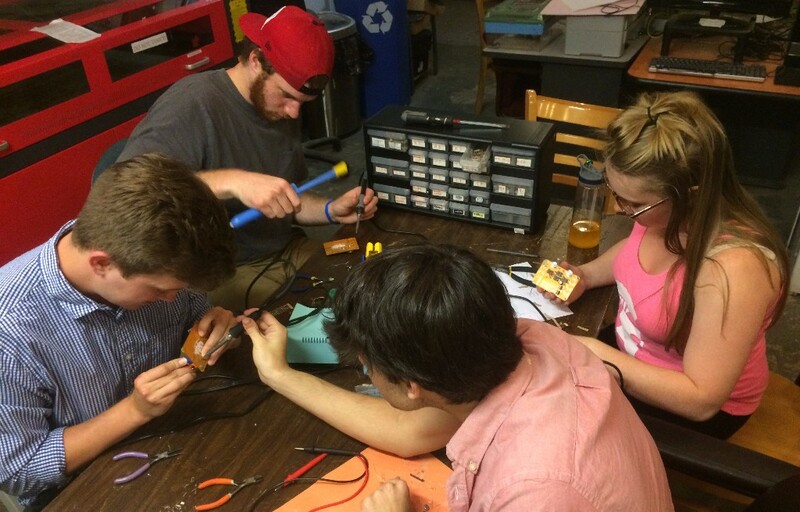 This summer you will be trained by Ph.D. Neuroscientists, inventors, makers, seasoned engineers, and public speakers. With our team each intern will have a compelling demonstration that the public will be interested and delighted to see. For example, see our recent TED talk on some our recent work. Yours could be next! This year's projects will be our most interesting and exciting ones yet. Our interns will study Dragonflies, Electric Fish, Humans, Frogs, and much more! Learn to invent, design equipment for your unique preparation. 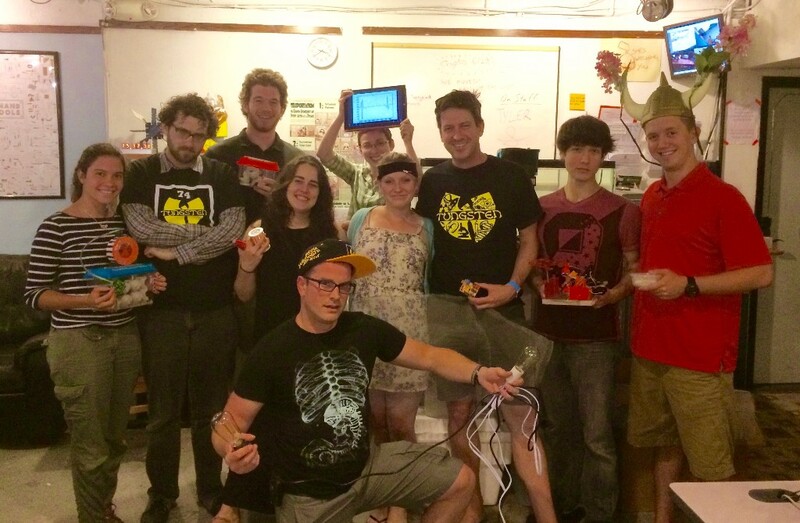 Become a BYB Intern in 2016, and help start the neuro-revolution! Copyright © 2016 Backyard Brains. All rights reserved.